If you are the parent of a young child, you want to give him or her healthy foods and beverages to maintain a healthy weight and prevent cavities. When you go to the supermarket, you may be overwhelmed by the many beverages that are designed to appeal to young children and concerned about the potential effects they could have on your child’s teeth. Here is a breakdown of some of the best and worst drinks for your child’s teeth. Milk is one of the best beverages you can give your toddler. The calcium and vitamin D promote strong and healthy teeth and bones. If your child doesn’t like the taste of plain milk, you can flavor it with chocolate or strawberry powder. Look for a powder that contains extra calcium. Avoid pre-mixed flavored milk because those drinks contain a lot of sugar, fat, and calories. You can also see if your child likes enriched soy milk. It has a sweeter taste than cow’s milk and the same amount of calcium. Water is an excellent beverage to give children because it does not contain sugar, fat, calories, or additives. If your community has fluoridated tap water, the fluoride can also help protect your child’s teeth from cavities. Most bottled water does not contain fluoride. If your public water supply is not fluoridated or your family drinks bottled water, ask your dentist or pediatrician if your child needs fluoride supplements to prevent tooth decay. If your child doesn’t like the taste of plain water, you can flavor it with a bit of fruit juice or slices of lemon or orange. Fruit juice can provide a child with vitamins and nutrients, but many fruit juices have added sugar that can contribute to cavities. Look for a juice that is low in sugar. You should not put your child to bed with a bottle or sippy cup filled with juice. If you do, the sugar in the juice will bathe your child’s teeth over a long period of time and can lead to baby bottle tooth decay. You can reduce the amount of sugar your child consumes from juice by limiting the amount you serve or by diluting it with water. You should not serve your toddler fruit drinks or soda because they are loaded with sugar that can cause cavities. Sports drinks, energy drinks, and vitamin water also contain large amounts of sugar. These drinks are often packaged and marketed to appeal to children, but you should avoid them. Choosing drinks like milk and water can help your child have a healthy smile. 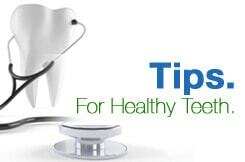 Juice is fine in moderation, but you should avoid soda and other sugary drinks to prevent cavities. You should also take your child to a pediatric dentist for regular exams. If you are looking for a dentist for your child, contact CT Pediatric Dentistry today to make an appointment.